As we approach our 30th anniversary of restoring, enhancing and protecting the Jones River ecosystem, it is with great optimism that we at the Landing share with you, in the spirit of Thanksgiving, the progress made by your generous gifts and memberships in support of the mission. 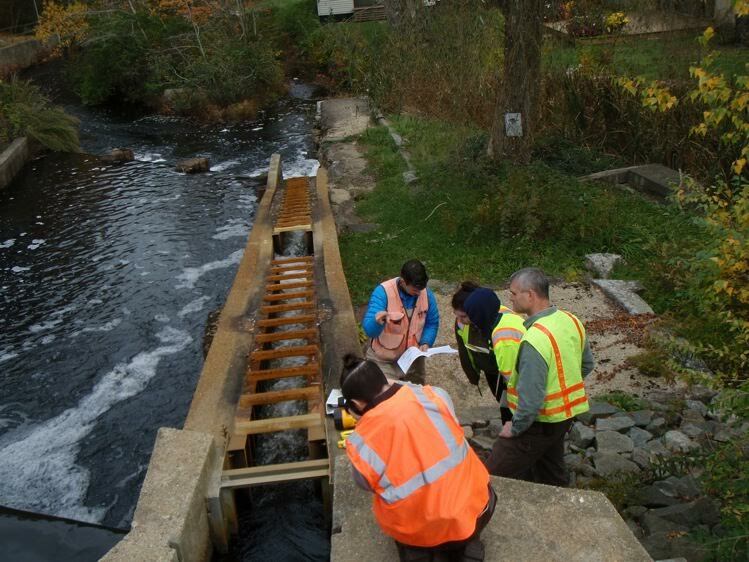 Sustaining the momentum to restore fish passage from Kingston/Duxbury/Plymouth Bay to Silver Lake; flow studies and grants to address issues at Forge Pond Dam; water quality and allocation issues within Brockton and regional water district; Elm Street Dam removal planning and engagement of Smith College to advance discussion on the project (pictured right); the eleventh annual herring count; and water quality and salt marsh monitoring to track vital signs of the river system. Advancing the health of Cape Cod Bay for marine ecosystem sustainability by working with a wide ranging coalition to secure sensible oversight and progress to shut down and clean up the Pilgrim Nuclear Plant. With our partners, JRWA pledges to monitor the decommissioning process to ensure a safe outcome that benefits all life. Ongoing education and development of strategies to address the effects of climate change on our area’s coastal and riverine environments and at the Landing. Ongoing preservation of our local historical boat building legacy and improvements to enhance access to the Jones River, as soon as December! 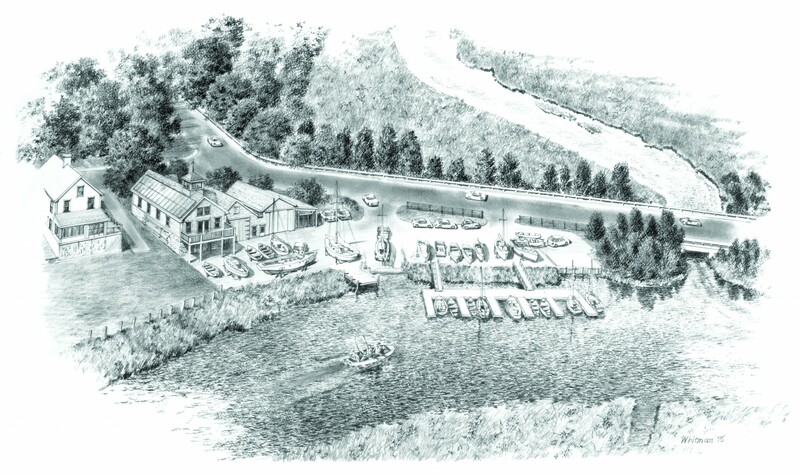 Preserving and rebuilding the Landing infrastructure will enhance community enjoyment of recreational opportunities on the Jones as well as foster understanding of the bountiful role the river has played historically, and continues to play in the wellbeing of the Commonwealth. Recent accomplishments include the completion of the Holmes-Watson boat shed restoration, and upgrades to the Kingston stormwater system last June. The legendary Kingston Lobster Boat is in the planning stages by our Master Boat Builder and Shiverick Boatshop Director, Peter Arenstam – so stay tuned! Entergy’s announcement that it will close Pilgrim means (among other important changes) that the annual death toll of alewives, rainbow smelt and over sixty other Cape Cod Bay species, which get entrained in its cooling system, will come to an end. When that depredation stops, habitat recovery and improvements can take hold. Then, achieving our goal to restore fish access and flow from Silver Lake to the bay will lay the basis for resurgent diadromous fish populations, increasing the food stock upon which the struggling cod and other big fish populations depend. This past summer, the JRWA was delighted to receive the 2015 Gulf of Maine Council on the Marine Environment “Visionary Award,” highlighting our enduring efforts and success. You are critical to that success and together we have so much more to do. Please make a gift or renew your membership today so this bond can continue to be strengthened. 4 PM – Merriment begins! 2 PM – Gather at the Landing to row in the new year! We’ll row first, then regroup at the Landing for an early potluck dinner. 2:30 PM – Gather at the Landing and begin with refreshments. Join us for board elections and other interesting stuff, to be announced!